Is it finally wedding bells for Oprah Winfrey ? Is it finally wedding bells for Oprah Winfrey? Have you heard the news? Is Oprah getting married? yes, the news is on the street. 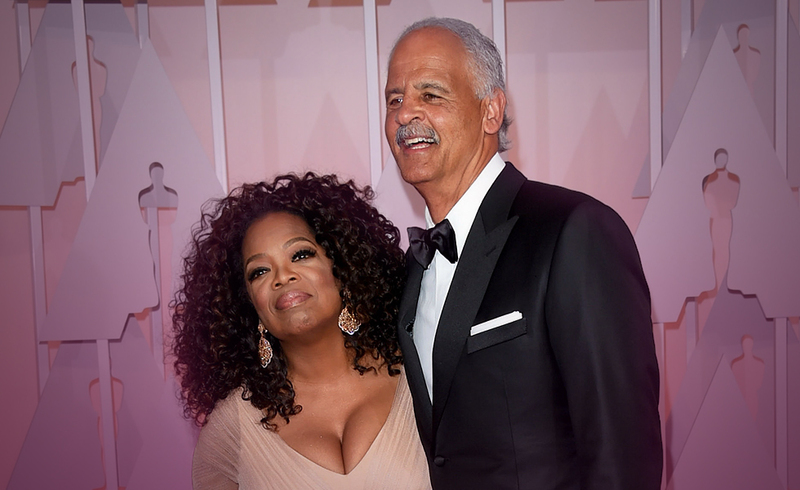 Apparently, Oprah proposed to Stedman Graham, while making breakfast for him. It dawned on her that Stedman Graham, who has been her partner since 1986. Has never asked her for anything. He never pressured her in any way to tie the knot. So she decided to show him how much she cares. She proposed to him. Ok, it’s all just a big rumour. Oprah has come forward to say there is no truth in the news. It apparently started with a tabloid report. Someone got the wrong end of the story and ran with it. At the end of the day, Oprah Winfrey and Stedman Graham have been perfectly happy together since 1986. She has said that her feelings for him are still strong. So why would they have to have a piece of paper to tell the world how they feel about each other? It is a prime example how rumours can spread so fast and so far. This one was luckily a good one. But a lot of rumours are not, and can do a lot of damage. On many occasions on the tarot line at 7th sense psychics, we come up against people who are the victims of rumours. We as humans’ love drama and rumours are normally dramatic. That’s why we spread them because we love to see other people’s reactions when we do. Well, I’m sure this one was let run its course for entertainment purposes, and it harmed no one. Unless there are a few uncomfortable moments over the breakfast table in the home of Opera Winfrey and Stedman Graham. But it was all fun and games. Oprah said she was receiving congratulatory phone calls from friends who were surprised they had not been invited, but they were wishing her well. So she had to come clean and tell them it was all a joke. If there is a lesson to be learned in this. it is that you should always get your information from the source. Otherwise, you may be left a little red faced when the truth emerges. Well, why not throw out a few cards for Oprah Winfrey? Let’s direct it to Oprah. Oprah, you drew The Queen of Swords, The Nine of Coins, and The Six of Cups. The Queen of Swords tells us of the character that has moulded you over the years. A Strong woman well able and very willing to fight your corner. This would have been something you had to learn early, but it stays with you to this day. The Queen of Swords who would represent you, Oprah, as a woman who will defend those she loves against anyone, even at risk to herself. She is not one to be directed by other people’s opinions, rather she gives them a reason to create new opinions. And gives them a good foundation for doing so as grey areas are not her style. Things must be visible and clear. The Nine of Coins shows your business skills. They have been honed well over time, but a lot of what makes you good in the business world comes from within. It’s not something that can be thought. You either have it or you don’t. The Six of Cups is the card that represents your heart. As things are, the heart is in a contented place, so if it’s not broken, why fix it? As you have said, the status quo in your life with Stedman Graham is fine as it is. Two people who are happy as they are. And with that, it only remains for me to wish you continued happiness in your love life.